I've been a fan of designer labels since I purchased my first pair of Gloria Vanderbilt jeans in 1978. Having that signature swan on the front pocket was a big deal then. I had to have it. As I grew into an adult, my taste for designer labels grew with me. Of course, as time went on, I also quit my job to become a stay-at-home mom. Life, as I knew it, with my own disposable income to buy designer clothes disappeared. 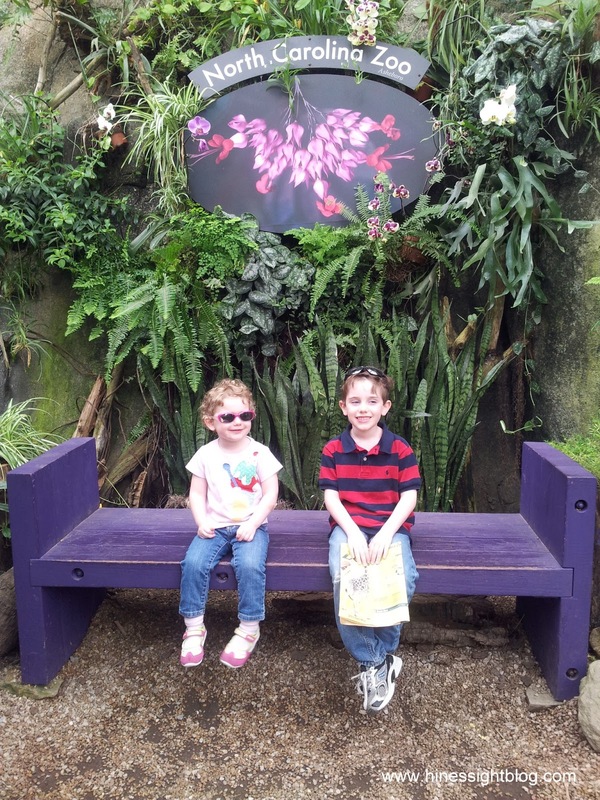 Will and I went from two incomes to one income plus the additional expense of a new baby. I still have my love for designer labels, but now, I'm more of a smart shopper. I buy only what I need, and I also shop in high-end consignment stores to get a better price. I follow the same rules with my children. One of my shopping secrets is a sale that comes around twice a year. I have been a customer of Upscale Resale now for seven years, and I'm excited to announce that the owner appointed me as an "Ambassador" this year. I'm delighted because I've always wanted some type of title, and as you will see, I am a huge fan of the sale. I have bought so many children's boutique clothes, and shoes through the years at the Upscale Resale sales, many with brand-new tags on them. 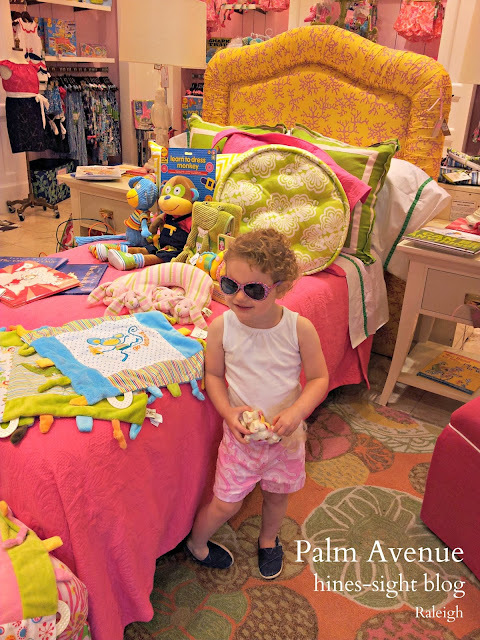 Baby Diva fits right in at the Palm Avenue store in Raleigh with her Lilly shorts. They were pants, and I made them into shorts. They were not bought new at Palm Avenue though. They were purchased last year at Upscale Resale during their spring and summer sale. I don't care if the pattern is several years old, the shorts are still vintage Lilly. I bought her Toms new, but I am sure Upscale Resale will have a lot this year for sale. They always have a good shoe selection of barely worn toddler shoes. I also bought this Mini Boden play shirt for her at the sale, too. I adore Mini Boden's playful style. I picked this shirt up for less than $10. It's still in great shape. And this winter Lilly dress will always be a favorite of mine. Again, purchased at Upscale Resale. 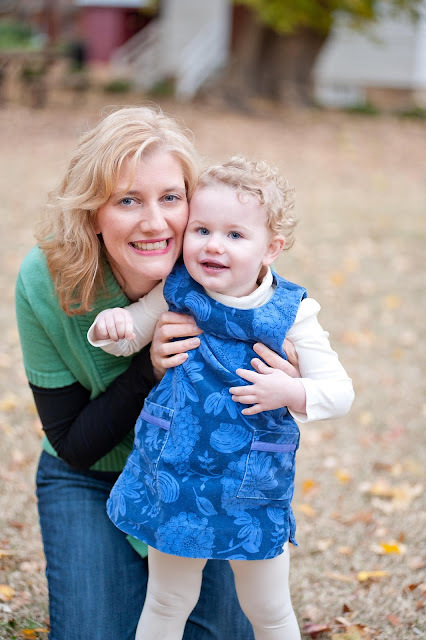 I purchased this Tea outfit with tags at Upscale Resale when the Diva was a baby. It was a boutique overstock. It was one of my favorite outfits for her. I've also purchased items for my son through the years, but not as much as I have for my daughter. Well, you now know my little shopping secret. The sale is coming in a few days. Upscale Resale will open to the public on March 7 from 9 a.m. to 6 p.m.
Something new is also happening this year. They will restock on Friday, and will open the doors again for the Upscale "Thrills and Deals" sale from March 9-11. During this sale, they will have more mall type brands like Gymboree, Baby Gap, higher-end Department store brands in addition to boutique merchandise. I will see you there! March 7 9 a.m. to 6 p.m. If you are new to the Hines-Sight Blog, you can follow my posts via e-mail by entering your e-mail address on my right sidebar. Every Friday on my Facebook page, I ask you to share some of your favorites that you have discovered on your travels or in your hometown. Follow me around town and on my travels for Skimbaco Lifestyle on Instagram, and you can always catch me on Twitter. Disclosure: I was named a blog ambassador, and I will receive a special preview ticket where I will get to view items, and buy items before they go on sale to the public on March 7. I accepted the title because I truly like the sale, and go every year.